We live in an age of truth decay. Rand researchers have a book for you on the political phenomenon. But you can also find a business model for health and wellness that relies on a disregard for facts. In the New York Times Magazine this week, Taffy Brodesser-Akner explains Gwyneth Paltrow’s strategy for monetizing outrageous health claims. 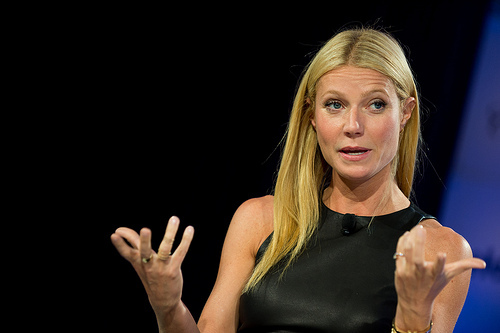 Paltrow and her pricey Goop brand spurs seemingly endless outrage from medical experts. How can it be that people will step right up for “vaginal steaming” and “kid calming mist,” putting money in her pocket? She inspired Professor Timothy Caulfield to write an entire book on bogus celebrity health advice. However, it seems that all that outrage is a good thing for Paltrow’s business model. At Harvard’s business school, she described how that outrage creates “cultural firestorms” she can exploit. “I can monetize those eyeballs,” she said. Apparently, she believes her scheme is nothing tawdry. She says it’s never clickbait. That’s because it’s a cultural phenomenon. If you capture the imagination of popular culture, maybe you can be exempt from fact checking. Perhaps this fact-free space has limits. Paltrow entered a deal last year with Condé Nast for a quarterly lifestyle magazine bearing the name of her band – Goop. But it fell apart this year. “They’re a company that’s really in transition and do things in a very old-school way,” said Paltrow. Apparently, that means they require fact-checking for the stuff they publish. Can you believe it? For charlatans, outrage provides oxygen. Stir up anger and people don’t think quite so clearly. People who buy the scam get angry with people who challenge the scammer. Online, the controversy goes viral and clicks turn into money. Perhaps we should wean ourselves from outrage. Click here to read more from the New York Times Magazine and here to read more from the Atlantic. Spot on. Perfectly said. Infuriating. Frightening.